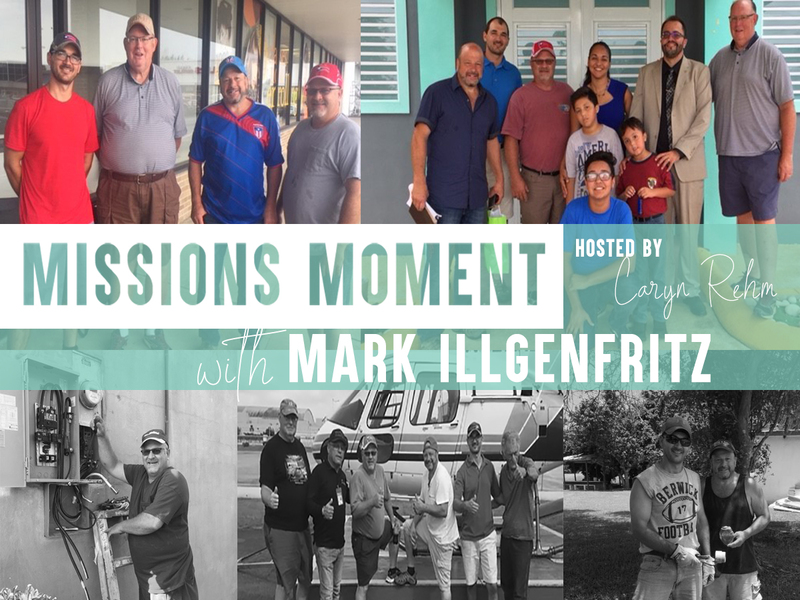 This week’s Missions Moment features Lewisburg Alliance Church’s Mark Illgenfritz. Mark and a group of men from LAC responded to a call God placed on Mark’s heart to go to Puerto Rico and assist with hurricane relief. Listen to this story of response to God. Listen to the story of how God took care of every need the team would have. He provided for them completely, so that they could help the people in Puerto Rico.